Proper insulation is an essential component of every home, and Dr. Energy Saver Cincinnati is your local expert for complete home insulation services. We have many years of experience providing quality solutions for the entire home, including the attic and basement. You can be sure that we will make your home more comfortable and energy efficient. When you call Dr. Energy Saver Cincinnati to solve your energy problems, we will start with a complete home energy audit to find air leaks, insufficient insulation, and ductwork problems. Once we've identified the problem, our energy experts will provide you with the best options available to solve it. Our goal is to work with you to ensure that you are getting exactly what you need for your home and are completely satisfied. No homeowner wants their house to be uncomfortable throughout the year, and no homeowner wants to spend an unnecessary amount of money on their utility bills. Dr. Energy Saver Cincinnati can help you solve both those problems with our complete home energy audits and expert insulation services. These benefits are why countless homeowners have trusted us over the years! If you want to improve your home's insulation, give us a call or contact us online today for a free estimate. We look forward to permanently solving your home's energy problems! "Chris Shepherd, the owner, gave us three options in a..."
By Gale And Jeane F.
Dr. Energy Saver Cincinnati is proud to be a member of the international Dr. Energy Saver network, which is comprised of expert home energy contractors throughout the United States and Canada. As part of this network, we have access to the best products and training available, giving you peace of mind that you are hiring a contractor with the experience and expertise to get the job done right. 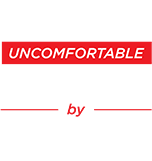 Don't take the chance of working with a contractor that doesn't know the best way to fix your uncomfortable home -- call us instead!